Although Neill Blomkamp's Alien 5 project (code named Red Harvest) has been indefinitely shelved and its fate remains unknown pending Disney's aqcuisition of 20th Century Fox, we still have a rough idea of what the film might have looked like! 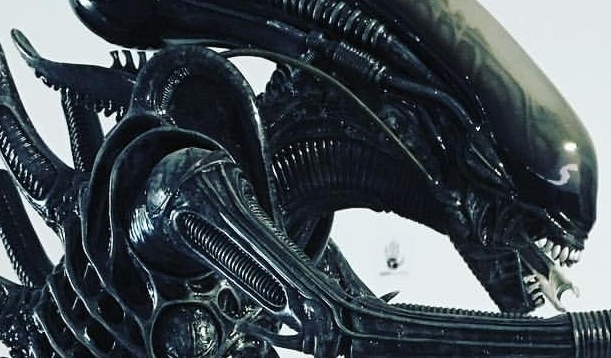 Just recently Blomkamp shared a photo of an Alien Xenomorph sculpt which was created by Alec Gillis and Tom Woodruff Jr. of Amalgamated Dynamics for Alien 5 while it was in development. As stated earlier, Alien 5 remains in limbo, with no word on its continued production since Alien: Covenant took center stage. 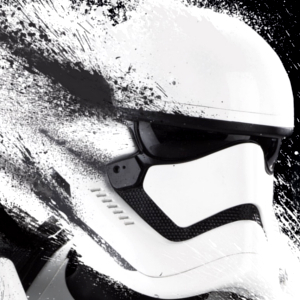 However, sources close to the project have alluded to us that the film is not dead. This was of course before the Disney deal went through. 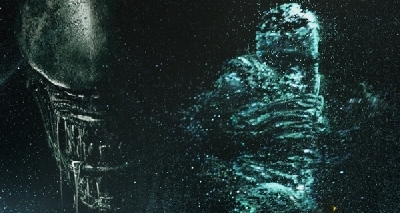 As new details regarding Alien 5 continue to surface we'll be sure to keep you posted! 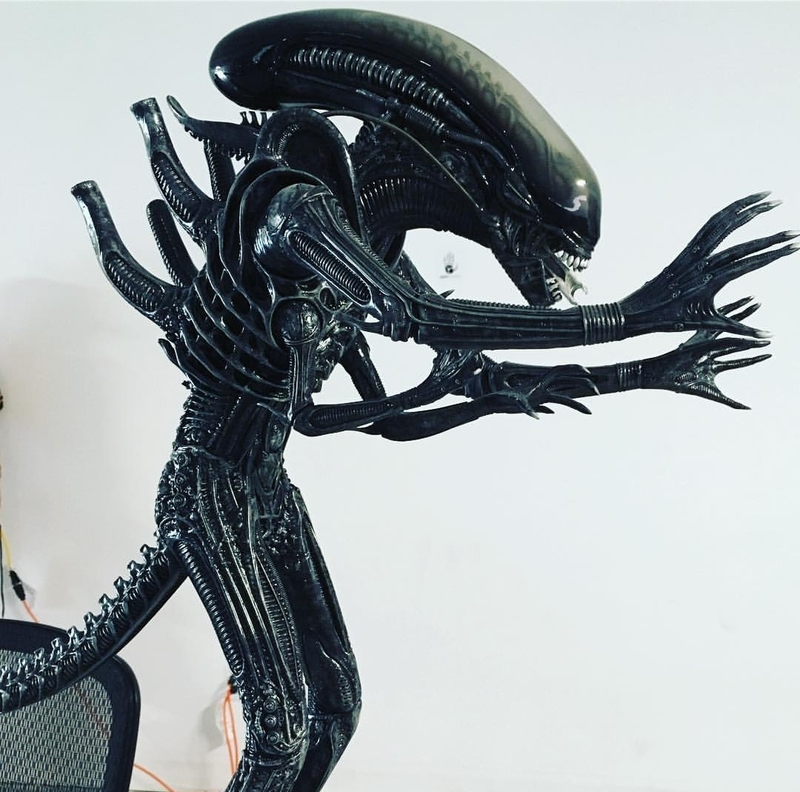 19 Fan responses to Neill Blomkamp shares mutated Alien 5 Xenomorph movie sculpt! Perhaps this was Blomkamps interpretation of a Praetorian / Juvenile Queen? A young queen makes sense- maybe it develops the armor looking carapace with age. Since it is Alien 5, I wonder if it could also be a specialixed drone. I was thinking the exact same thing, seems like Blomkamp's interpretation of what happened to Specimen-5 in SEGA's AvP video game - a drone that gradually evolves into a Queen. The issue I have with this idea is that, along with what little we know about Blomkamp's abandoned Alien movie, it seems to be too heavily adapting the ideas seen in the comics and video games. In all honesty, the sculpt looks very similar to the S.H. MonsterArts model I have next to my Alien DVD/Blu-Ray/Book Collection (pictured above). In all honesty, I prefer the looks of the one in my office (above). For me i think while its a nice Prop... it does-not offer anything really NEW its interesting to see the return of the 1979 Xenomorph Style.. But i Question WHY those extra arms, i see its a Nod to the Queen..
And i can see some suggestions here about maybe this could be a Drone that Evolves to a Queen. I think thats a interesting idea and Logically for the Perfect Organism, having a method to EVOLVE something into a Queen, when the Queen is Wiped Out would be needed, but Alien 3 and Alien R show us the Queen Embryo has traits of a Queen so we know a Queen can come about via some Face Hugger Event. But we are talking about a Drone Evolving... where i think to fit into the Insect like Nature (in part) of the Xenomorph i would have thought some kind of Cocoon/Chrysalis (Pupa Stage) would have fitted, with a Drone Turning into some kind of PUPA and then from this we see the Drone then breaks out with MORE Traits from a Queen than this Alien 5 Project has shown. But i cant knock it... as this could just be a IN-PROGRESS Mutation and so those arms appear first, but then the Head Changes too. 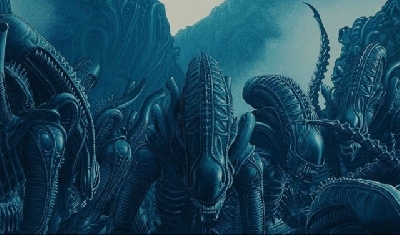 But then maybe ALIEN 5 is in part about Re-Engineering the Xenomorphs and so we could had been seeing a number of Hybrids (some Concept Suggested) and so these could be a Mutation/Trait borrowed from the Queen and passed on to the Drone... But i think we would have to ask WHY which means we have to think WHAT additional Benefit would a extra pair of Shorter Arms have for the Organism? But we could ask that of the QUEEN too... which the most likely answer would be.... because it looks COOL! 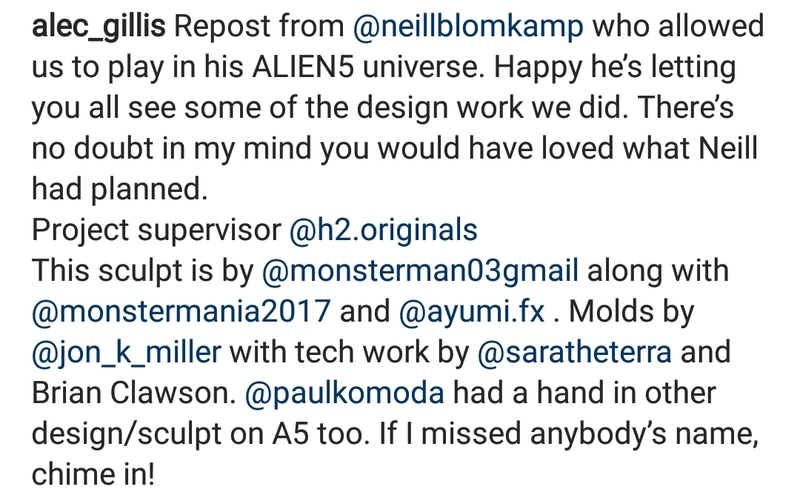 Regarding Blomkamps Alien 5 i think there is still potential to explore most of his ideas for SURE... I am just not 100% so sure on the Alternative Sequel Route.. as in bring back Ripley, Hicks and Newt! Nothing Personnel about Miss Weaver but i dont think that route would be wise.... I do however think Blomkamps Alien 5 ideas could be incorporated into a LITERAL Alien 5 like the idea i had proposed a few times on here. Even having her Evolve more as the Movie goes by.. using this Evolved Ripley 8 as a replacement over the Alien 5 Ripley in that Space Jockey-esque suit. Combining my ALIEN 5 idea with Blomkamps i think would be a ideal way to continue the Ripley Saga! While also making a more Alieny Movie. They could use the extra arms to hold on to their prey as they use their larger arms to drag them back into the nest to be cocooned. What's strange about the extra arms was that they didn't seem to serve any purpose except flail about. Even the regular arms didn't do much- business was executed mostly by tail or inner jaw. I agree with BigDave, I like the idea and concept that this could merely be one stage of mutation the Xenomorph goes through. The idea about re-engineering the Xeno is also an interesting angle to explore but like BigDave said, bringing back Ripley, Newt and Hicks might have limited the potential for this new story. This might be called the Joker as most probably it uses the extra hands to tickle its prey to death. "Tickling is, in a way, teaching someone to protect their vital areas. ... If they laugh from being tickled they can laugh themselves to death. The cause of death will be a heart attack or asphyxiation. Its a serious problem when you can't stop laughing." This one looks interesting, one of the things that I like about the Xenos is that they can be done in different ways. Maybe they could do a comic book or a novel based on it? I am not really sure if we need another Ripley movie, I would like to see new characters but they must be well done, otherwise we will have another disappointment like the prequels. They could make new characters that are not connected to old ones. The Prequels Muddy this a little as we know the Xenomorph Origins/Related Organisms had likely Originated on LV-223, there would be remains of them on Planet 4 and likely Origae-6 by the time we get to ALIEN in the year 2122. So we had to ASK why does the Company choose to only Pursue the Derelict Cargo, which we assume after ALIENS leaves only the Queen that Ripley is Gestating as the ONLY source for the Xenomorph? Its it likely that those other avenues (Planet 4, Origae-6 and LV-223) are all Eliminated and Bare NO Fruits? so with Blomkamp he had to look at HOW to introduce the Xenomorph again.... does he go and obtain it from LV-223? or come up with some other WORLD where the Xenomorph could be FOUND? But exploring these Avenues could have Conflicted with what ever Plans the Prequels could have had. He could have gone the route that the Derelict was intact... but they would have to then deal with the Derelict and any Xenomorphs that are experimented on and acquired because by the time we get to Alien Resurection, it has to be that there is NONE of those left, leaving only Ripleys DNA as a source to obtain the Xenomorph. So again potentially conflicting the Franchise.. Which is WHY a Alternative Sequel to ALIENS could had been the answer, and it appears this is what ALIEN 5 ended up looking like, where it would merely offer a FORK in the Road.. where we have TWO Alternative Roads after ALIENS. 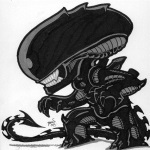 Alien 3 ==> Resurrection OR Alien 5 and what ever comes next. During this pursuit it could take many attempts to extract a PURE stand of Xenomorph DNA which leaves room for many Mutations/Hybrids on the way to a PURE Xenomorph and then experiments on this PURE source. A Plot like this does-not even have to have Ripley 8 it could be set Years after Alien Resurrection and reveal a Sample of her DNA had been obtained either from the Wreckage of the Auriga, or had been obtained before the Auriga Crash... or even from RIPLEY 8 at some point after the events of Alien Resurrection. @DK The xenomorphs used their hands more often than their tails and headbites combined. The Xenomorphs do use their hands just as often as their tails and headbite. In ALIEN Big Chap swiped at Jonsie's cat carrier, grabbed Brett to hold him while headbiting him then taking him away to be eggmorphed, he grabbed Dallas to cocoon him, and he grabbed-wrestle Parker to headbite him. The Xenomorph in ALIEN ISOLATION use their hands to grab the player in plenty of the death scenes and when attacking NPCs. In ALIENS, the xenomorphs grab Dietrich to carry her off somewhere to be cocooned, one of the xenos grabbed a hold of the door to the APC to prevent it from shutting, one xeno punched its hand through the APC's window, and another xenomorph possibly grabbed Newt since she had no bite injuries. In ALIEN 3, the xenomorph grabbed Clemens to headbite him, The xenomorph pulls Mr. Andrews up into the ceiling, one of the prisoners die by a xenomorph jumping out at him with its hands streched out, and the xenomorph grab-wrestle the Dillion before Ripley dumped the molten lead on to the xenomorph. 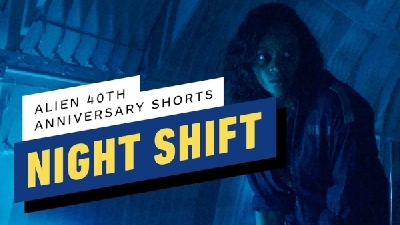 In ALIEN RESURRECTION, A Xenomorph grabbed that one girl's leg during the swimming scene, a xenomorph grabbed the scientist dude's head after the xeno's break out of their containment, and a Xenomorph was holding Ripley just briefly before the birth of the Newborn. AVP 2004, the only time the xenomorph used its hands was to scratch Celtic's biomask, A xenomorph grabbed Scar to impale his shoulder with its tail, and to take that one archaeologist dude to be cocooned. AVP Requiem, Predalien uses its hand to slash open a yaut'ja's thoat, Predalien grab-wrestles and uses its claws on Wolf during their climating battle, predalien grabs the homeless woman to impregnate her, a xenomorph warrior grabs the little girl's dad after smashing through the window, and a xenomorph warrior grabs a powerplant engineer before headbiting him. ALIEN COVENANT is propably the only alien movie where the xenomorph doesn't grab its prey onscreen or implied; unless it grabbed that naked lady off screen. MISC example: Almost all of alien comics and video games depict the xenomorph grabbing its prey. I forgot to add the Queen in Aliens used her hands to remove the floor panels to catch Newt and she grabbed Ripley's foot before being sucked out of the airlock and the last part of Alien Covenant where the xenomorph used its hands to climb back on board the Covenant. ALIEN: Big Chap only used his tail to "sting" Lambert and to knock Parker away from it. 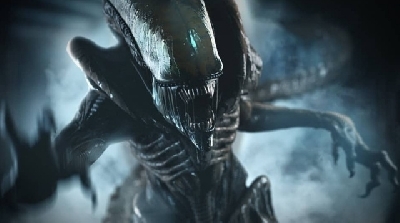 ALIEN ISOLATION: Xenomorph impales character during death scene. ALIENS: Queen impales Bishop with tail and attempts to impale ripley when she was in the powerloader. 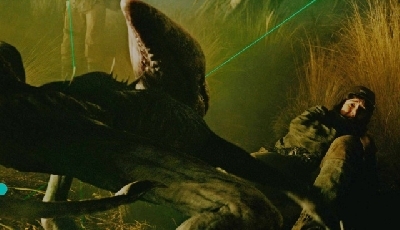 AVP Requiem: Predalien impales Wolfe and the lead character's brother with its tail. ALIEN COVENANT: Reverts back to stinging like Big Chap, although it was unsuccessful. I think its quite obvious the Xenomorph would use its arms/hands by design, as their is no point in having them if they dont perform a function. This certainly has to be said about the Xenomorphs main ARMS... however we have to Ponder WHY would some Xenomorphs require more than ONE Pair of Arms and especially a SMALLER pair. The True Reasons firstly has to simply be because it looks COOL and Different and it was a Aesthetic addition to set the Queen apart from the standard Xenomorphs. The location of the secondary pair of arms also seems to indicate a limited movement and use, but when looking at the Sculpture for Blomkamps Alien 5 these additional arms are in a position that would give greater use/purpose than those of the Queen. It does allow us to PONDER why the Queen required a additional smaller pair of Arms, WHAT role would they perform? When we look at the Design in the OT of a Xenomorph with a additional Pair of Arms we have to consider does such a Xenomorph have a different Role? If some Xenomorphs are tasked with TENDING to the Eggs and Moving them, then we have to ask are those SMALLER Arms suitable for Holding/Carrying a Xenomorph Egg? The Queens smaller arms are maybe not ideal for this, but the Sculpt in the OT they could be more useful due to the improved position of them over the Queens. If by Design some Xenomorphs are TASKED with moving and tending to Eggs, then while they are moving the Eggs it would mean they LOOSE the Use of their Arms (IF a Standard Xenomorph was to attempt to Carry a Egg). So IF there are Xenomorphs that have this Specific Task, then they could Carry the Eggs with the Smaller Arms/Hands and have their Main Arms/Hands Free at all times to help with defending themselves or any other task, that would mean they would not have to Drop or Place down the Eggs they are carrying. HOWEVER..... looking at the Concepts for Blomkamps Alien Project a lot of it seems to Focus on Mutations, Hybridization and Experiments on the Xenomorphs and the PLOT likely revolved around the Company Finally Managing to obtain the Xenomorph and attempt to Re-Engineer/Experiment with it. They had obtained this in Alien Resurection, but things went quickly to POT before they could carry out any real Experiments/Re-Engineer those Xenomorphs. So i think Blomkamps Plot may have shown us the Company had got further with actual Experiments the Question would be... had they obtained a Xenomorph and began Experiments that lead to a all manner of Mutations/Hybrids? Or had they NOT obtained a direct specimen and had to attempt to extract the Xenomorph from Experiments that would lead to some Failures/Mutations just as we saw in Alien Resurrection with the FAILED Ripley Clones. 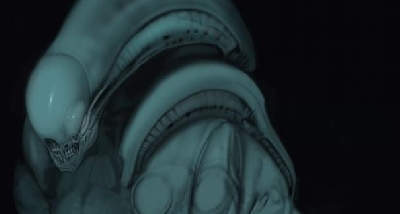 So Blomkamps 4 Armed Xenomorph is likely a result of Mutations/Re-engineering of the Organism. Probably this xenomorph was part of the team that loaded the eggs on the derelict, thus it can open the doors and climb the ladders while still carrying the egg, without placing it down. I don't see any better option to load those thousands of eggs. I think that would fitted more if the Xenomorph was related to some other Higher Power/Creature that uses both the Xenomorphs and Space Jockey for some Agenda/Purpose. If we went for the Xenomorph Species to be much more Intelligent/Sophisticated than we see in the Franchise HOWEVER... then we have to look at what role does the Space Jockey fit in all of this (Enslaved or some Symbiotic Relationship). If we assume the Engineers or Related Created the Xenomorph or even went with David Creating it, then either would have to have a way to CONTROL and COMMAND such a Organisms to carry out the task of Handling/Moving the Eggs. The Question about the EGGS was always a important one as far as HOW they got on the Ship, this would really depend on HOW the Eggs are Activated... Is touch alone enough? ALIEN shows us this is the case as Kane was wearing a Space Suit and so this means we can assume a Space Suited Space Jockey or even a Android may be able to SET-OFF a Xenomorph Egg by moving them, because we cant go by them being activated by detecting the Breath/Heat of a Living Organism due to Kane wearing a Space Suit. I guess going the Route of David being the Creator could explain it away if the Eggs will only become Active if they detect a LIVING Organisms within the Vicinity and they can detect such a being even through a Space Suit. But if we ignored the Prequels... then indeed Egg Moving and Handling by a Xenomorph that has a extra pair of Arms makes some sense.